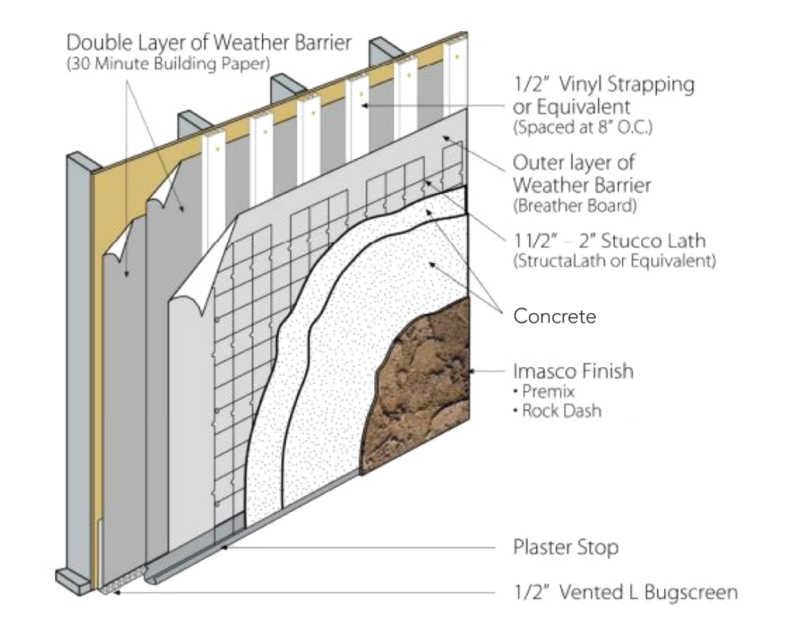 Drainage Cavity Stucco System | Imasco Minerals Inc.
A rainscreen cavity stucco system deflects, drains and dries rain. It is simply a better way to clad the exterior walls of buildings. 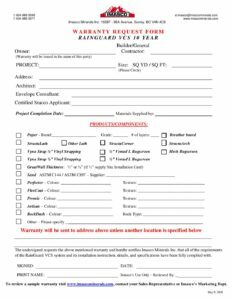 RainGuard Mega utilizes IMASCO components and Structa Wire’s Mega Lath to create a cavity system that satisfies code requirements and will withstand negative and positive wind loads. RainGuard Mega can also be used with steel–stud applications and over drainage mats. 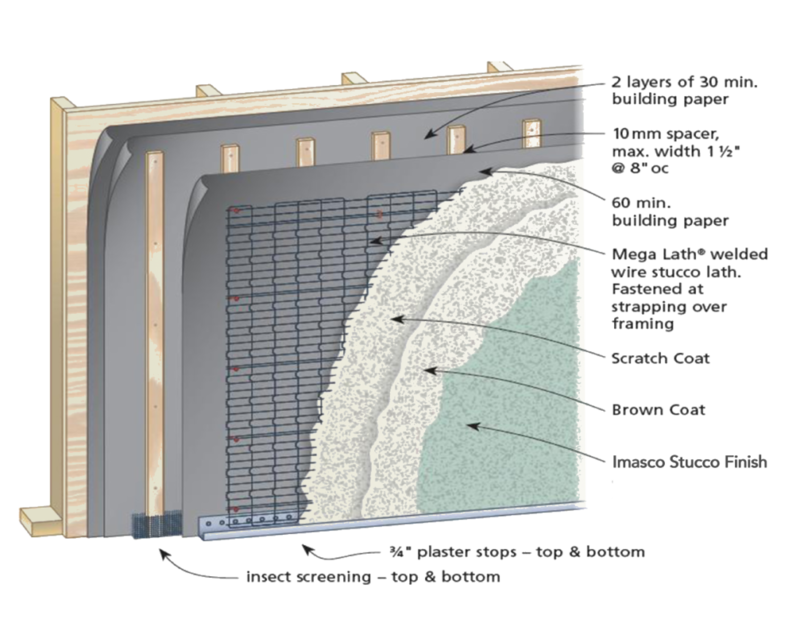 This rainscreen cavity stucco system deflects, drains and dries rainwater. It incorporates Vyna Strap, a window grade vinyl performing as a drainage cavity, which fully supports the stucco materials. To complete the RainGuard Vinyl Cavity Systems, choose from a variety of basecoat and finish options. Vyna Strap, a window grade vinyl that is 37% lighter than plywood and made of 80% recycled content. Vyna Strap meets the National Building Code's 10mm cavity requirement. Vyna Strap and IMASCO's stucco qualifies for LEEDS points. Experienced and reputable independent installers who have been trained and certified by IMASCO.